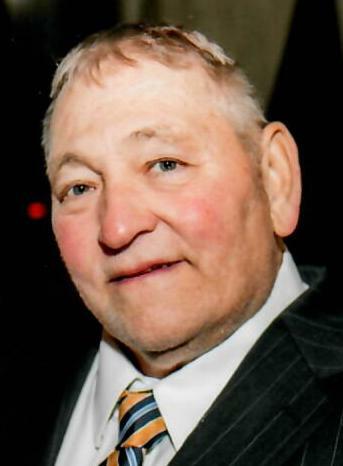 Lester Howard Stubblefield, age 75, of Elgin, formerly of Peotone, passed away on Friday, March 29, 2019 at his home following a long illness. He was born on October 25, 1943 in Chicago, the son of the late Lyle G. and Wanda B. (Skowronski) Stubblefield. Lester married Ann Murray on April 26, 1969 in Peotone. He was a United States Army Veteran serving from 1965-1967 with one tour in Vietnam. He worked in chemical manufacturing for 40 years. He was a member of St. Paul the Apostle Catholic Church in Peotone and the Peotone American Legion Post 392. Lester is survived by his wife of almost 50 years, Ann (Murray) Stubblefield; a daughter and son-in-law, Kathryn (Joshua) Sunderbruch of St. Charles, IL; two grandchildren, Zachary Howard and Alexander Arthur Sunderbruch; a sister and brother-in-law, Noreen (Stephen) Schmid of Apollo Beach, FL; and numerous nieces, nephews, and cousins. He was preceded in death by his parents; a son, Jeffrey Howard Stubblefield; and his father-in-law and mother-in-law, Patrick and Marlys Murray. Visitation will be held at the Fedde-Helfrich-Cross Funeral Home on Saturday, April 6 from 2:00 p.m.-6:00 p.m. A funeral liturgy service will be held at 1:00 p.m. on Monday, April 8 at Funks Grove Church, 7054 E. 535 North Rd., McLean, IL 61754, Father John Regan officiating. Burial will take place at Funks Grove Cemetery. Memorials to the family’s wishes would be appreciated.